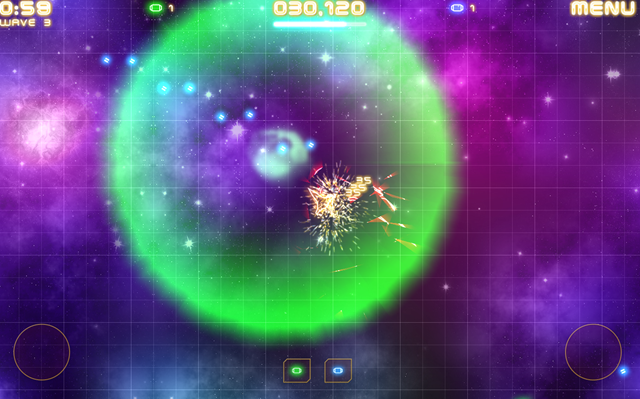 Violet Storm is a free Windows 8 Action Game app. Basically, it’s a flight simulation battle game. 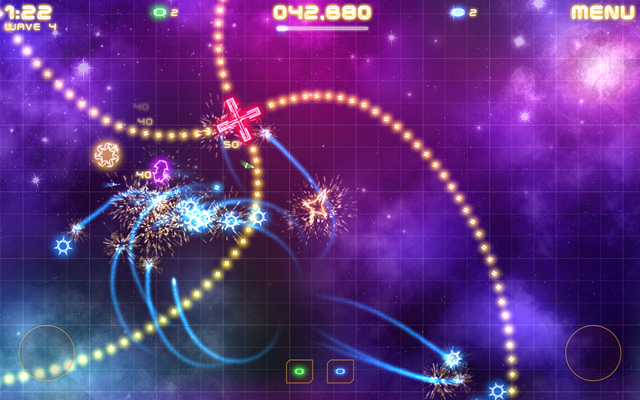 This Windows 8 app has a quite impressive neon luminance background with your battle jet doodling around the space with loaded weapons. Violet Storm is quite an interesting Windows 8 action game for kids and is a great pass time for recreation. It is a multilevel game with a number of amazing weaponry loaded with your battleship. You just have to install it and there you go with your battle jet and roam around in space. I gave this game app for Windows 8 a try, and trust me its really awful. There are a lot of interesting levels like there is the Campaign one and a Time Barrier. Well, my favorite one is the Sniper War level. 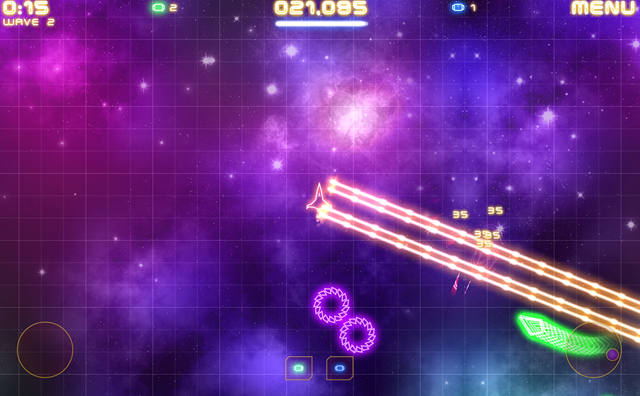 It consists of a flaming weapon which roles 360 degree around your ship and crush your alien enemies into dust. Also, it brings you various types of amazing weapon like the initial one is the green-colored single Shotgun that will blow your enemies heads off, then there is a blue-luminance double-barreled shotgun and after sometime your weaponry will be upgraded to a double strand laser. In addition, in this Windows 8 game app, you will also get some secondary weapons in between the game which will give you some extra backup when you are in a chaos. Like from above, you can see the Shockwave bomb which will burst all your enemies in a one go. You can also set the difficulty level according to your game play. This is one of the hardest level I’ve reached so soon. You have to explore more with its quite impressive weaponry and graphics with a quite easy game play and you can easily resume from where you have left just because of the game’s auto save feature. So, what are you waiting for. Just install this little Windows 8 action game App available under the “Game” category of Windows 8 store.